Lacrosse is growing in popularity, especially in the Southeast, Northeast and Mid-Atlantic, and is an exciting mix of a few different sports. Due to its uniqueness and physicality, players need to prepare correctly and in a different way than other sports. Thorough preparation—from proper hydration to using sports protective gear spray—prevents injuries and leads to a higher level of performance on the field. 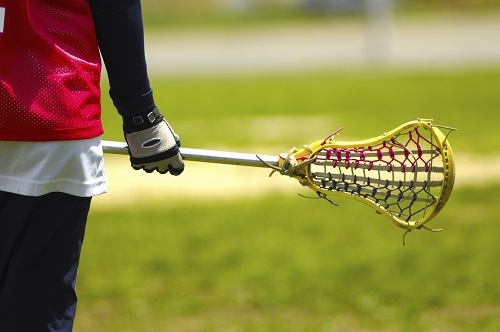 Read on to see how athletes should prepare for lacrosse games. While every player has their own pregame routine to prepare for a match, all players need to strive for adequate hydration. Athletes should start hydrating at least 24 to 48 hours before game time, primarily with water. Many think sports drinks are necessary to properly hydrate, but in reality, body muscle and tissue should be saturated with water. One of the most necessary elements of preparing for a lacrosse game is to test all equipment to make sure everything is working properly. Players should check their lacrosse stick a full 24 hours before a game, especially the strings and tape. Anything not working correctly should be replaced. Players should pack their lacrosse bag way ahead of time and double- and triple-check contents before heading to a match. Eating healthy and nutritious meals the night before and the morning of a game is crucial. Athletes should eat protein-rich foods, whole grains and produce for best results. Sleep also plays an important part in preparing for a lacrosse match. Athletes should strive to sleep about seven to eight hours the night before game day. Athletes should arrive on the field at least 90 minutes before game time. Pre-game should be spent warming up and discussing strategy with the coach and teammates. Dynamic warm-ups yield the best results. After a lacrosse match, gear will be filled with dirt and sweat. Thoroughly clean and wipe down all gear and clothing with a powerful sports protective gear spray like Clear Gear. Click here to learn more about clear Gear sports protective gear spray, the only scientifically proven way to protect against odor and infection.